Do you know what your consumer habits fund? Do you know how many coffee companies donate to Planned Parenthood? Does it make sense to get your coffee from large corporations who lobby against your values? Of course not, because you're a VERY STABLE GENIUS that knows you need a MAGA coffee that doesn't take a knee on taste or values. 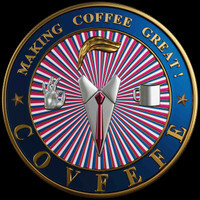 At COVFEFE, we provide proud Americans access to world-class coffee without having to fund your political and cultural opponents. We stand by our world-class taste and customer support, however, we are more than just coffee just like how YOU are more than just a coffee drinker. We understand that it is revolutionary to support the sitting US President, and in some cases dangerous to show support publicly. We want to end that. Not only do we provide world-class coffee backed by world-class values, but we are building a community of patriots who want to take our country back by winning the culture war. COVFEFE isn't just the world's greatest coffee. It's also a lifestyle. Coffee For Deplorables By Deplorables.